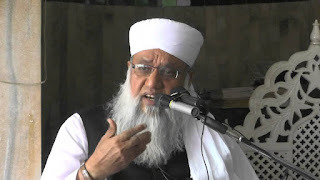 Maulana Khalilur Rahman Sajjad Nomani is a prominent Islamic scholar from India. His sermons and speeches are listened to with a great deal of respect and attention across the length and breadth of the country. He commands special attention from members of the Indian Muslim diaspora. He is not a traditional scholar in the sense that he has not confined himself to the pulpit or to a madrasa or only to matters concerning religion. He is a sharp observer of India’s political currents and has, therefore, never shied away from expressing his views on current political affairs. In fact, he has undertaken several steps in the past to bring Indian Muslims as well as disadvantaged sections of Indian society onto a single, broad-based platform. 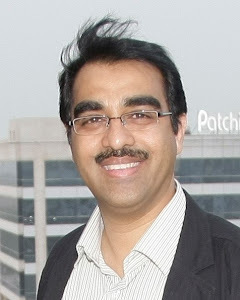 He holds a responsible position as a member of the working committee of the All India Muslim Personal Law Board (AIMPLB) — the most widely accepted representative body of Muslims in India. The 64-year-old maulana is the son of an even more famous father, the late Maulana Manzoor Nomani, who was a close associate of both Maulana Abul Hasan Ali Nadwi and Maulana Abul Ala Maududi. As a result of his rich heritage, Maulana Sajjad Nomani is widely revered and respected by Indian Muslims. He is seen as authentic and credible because of his rich background and education. He graduated from Darul Uloom Nadwatul Ulama and Darul Uloom Deoband. Later he studied at the Islamic University of Madinah and completed a doctorate in Qur’anic Studies. He is a very articulate and vocal proponent of combining modern English-language education with madrasa education. The maulana was in Saudi Arabia last week and was gracious enough to grant us an interview at short notice. The interview was conducted at his son-in-law’s residence in Jeddah’s Al-Mushrefah district. The interview took place just three days after the Supreme Court of India announced the creation of a three-member mediation committee to explore the possibility of settling/resolving the Babri Masjid issue. Q: Let me start with the recent decision of the Supreme Court. It has decided to go for mediation to resolve the Babri Masjid dispute. The top court has ordered the formation of a three-member mediation panel. What is your view and the view of the AIMPLB on the court’s decision? A: We have been of the view right from the beginning that we are in favor of talks to resolve the problem. The proof of our stand is evident because on almost seven occasions in the past two or three decades, the All India Muslim Personal Law Board has entered into negotiations under different prime ministers. We have had many, many rounds of negotiations. Unfortunately, the negotiations failed every time. Despite these unfortunate failures, we never closed the door to negotiations from our side. It has always been our point that we have been — and we will always be — ready for unconditional talks. The operative word here is unconditional. Without any conditions. We have always been ready for talks and negotiations. Q: If that is the case, the question becomes as to why was the last offer of talks from Sri Sri Ravi Shankar turned down by the All India Muslim Personal Law Board? A: Yes, we refused that offer of talks. The reason was that the offer came with a condition. Right from the beginning, Sri Sri Ravi Shankar said that it had been decided that a mosque would not be built at that place and that the place must be given to Hindus for building a temple. The Muslims would thus have to relinquish their claim to that land and the land would have to be given to Hindus. We will discuss the rest. It is beyond anybody’s comprehension as to what the talks will then be about. This was the reason why we refused. He was going around telling everyone that the temple would be built at the exact place where Babri Masjid existed. There was a contradiction in what he was saying and the offer of talks. So we, the All India Muslim Personal Law Board, said no. This conditional offer of talks is unacceptable. Q: How significant do you think the current offer of mediation from the Supreme Court is? A: This time the offer of talks has come from the Supreme Court. It is a very serious effort. The All India Muslim Personal Board has welcomed the Supreme Court’s decision. If the court thinks the mediation can help resolve the issue, then we are ready. Having said that, let me state that going by the experience of mediation efforts in the past, we are not very hopeful. “Ummeed bohat kam hai.” Also, our optimism is diminished by the fact that one of the three-member mediation panel includes a person (Sri Sri Ravi Shankar) whose clear stand is against the rebuilding of the mosque. However, we want everyone to know that we should not be blamed for not giving mediation the chance of succeeding. We don’t want to be seen as rigid nor that we are against any compromise. We want justice. We seek justice. “Ham chahte hain insaaf ho.” Peace cannot be established without justice. We want to ask all peace-loving people: “Can you have peace at the altar of injustice?” So, if the Supreme Court thinks that one more effort should be made toward resolving the issue — and the Supreme Court itself has acknowledged that the result of the past efforts has not been very encouraging but even then the Supreme Court wants to make one last effort — then that is fine with us. Q: There is an impression or a perception among the Muslims of India that repeated efforts at mediation are basically to force and compel Muslims to give up their rightful and legal claim to the land. The impression is reinforced by the fact the Muslims have unequivocally and publicly stated that whatever the Supreme Court’s decision, the community will abide by it. The community also feels secure with the fact that its legal case is strong. Do you get an impression that these repeated efforts at mediation are basically to dissuade Muslims from giving up their rightful claim? A: I don’t rule this out completely, and I would like to raise a question. If this is true, then it means that there is no rule of law in India. This means that the writ of the Supreme Court is not binding. This concept of majoritarianism cannot succeed in a democratic setup. In a democratic setup, law has to be supreme. The law of the land is supreme. If the perception that you have referred to in your question is true, then we see a very dark future for India. We pray that this is not true. One does get the impression however, that the Supreme Court of India is worried that it will not be able to enforce its decision or order. This does not augur well. It is not a good sign. In such a scenario, all peace-loving and justice-loving people of India must come together and raise their voices from a single platform for the supremacy of the rule of law. Q: What is expected from the current effort at mediation? A: To me, all roads (for a successful outcome of mediation) seem closed. Q: So all parties must wait for the Supreme Court’s verdict then? A: The Supreme Court itself has said that if the mediation panel comes to an amicable agreement, then it should bring forward the formula. If not, then the Supreme Court will begin hearings in the case. Q: If the final decision goes against Muslims, do you think the community will accept this with an open heart or a heavy heart? A: Muslims are living in India under a covenant of their iron-clad determination and decision. One of the community’s iron-clad decisions is that the community will remain faithful to the country’s constitution and, at the same time, retain its identity. Our fight and our peaceful struggle are not geared toward one issue. New issues crop up every once in a while and embedded in these issues is an attack on our identity. The idea is to assimilate our religion into the other more widespread religion. I am referring to the Brahminical idea of supremacy which has been in force for quite some time. You must understand that all other minorities in India — almost all of them — have surrendered before the onslaught of the Brahminical supremacist juggernaut/order. The Jainism movement in our country was against the Brahmanical order of supremacy. When the Jains were tortured — physically and mentally — they could not withstand the pressure of Brahminism so they surrendered. The most vocal and determined voice against the Brahmanical supremacy in India was that of Gautam Buddha. That is why we read in books that Buddhists were the victims of physical torture at the hands of Brahmins. They too, therefore, surrendered and accepted the supremacy of the Brahminical social order. There are so many examples. Muslims, however, have been the only exception who refused to surrender their faith. They weathered so many difficulties but remained true to the tenets of their faith. Everyone will — and should — accept the fact that despite all the challenges, Muslims have managed to protect their identity in India. They have suffered economically; they have been politically marginalized and they have lost out on education. All this has happened, but credit must go to the Muslim leadership, and especially to the Islamic scholars, who managed to protect/retain our religious identity. It is this resolute determination and iron-clad resilience that bothers the forces that are out against us. They want us to surrender. These attacks in the form of different issues that crop up at regular intervals are part of that larger plan to force the Muslims to dilute their identity and assimilate their culture into the culture of Brahminism. I am very confident that if that happens (of Muslims losing the case in court) Muslims will absorb this painful shock. Muslims will definitely not react in a way that will create any law and order problem. Muslims will continue their traditional role of defending their religion and will continue to safeguard the Constitution of our country. Q: And Muslims would expect the same from Hindus — that they would protect and abide by the Constitution too? A: Yes, of course. Our expectation is for everyone. I would like to clarify here that this discussion or conversation must not assume that all Hindus are against Muslims. That would be a fallacy and would be totally wrong. The majority of Hindus are not with the supremacists and right-wingers. It is the responsibility of the Muslim leadership or opinionmakers that they must enlist all sections of society in the fight for the preservation and safeguarding of the country’s constitution. There should be a broad-based, grand alliance to defend the rule of law and the Constitution and for establishing peace and justice in India. The chances of the success of such a noble struggle are very bright. I am an optimistic person and I believe in the concept of a blessing in disguise. Q: Was the demolition of the Babri Masjid also a blessing in disguise in the sense that it awakened the community, at least constitutionally and politically? A: You can say that. It led to greater political awareness in the community. Allah has granted us many, many opportunities but we must accept that we have not been able to use those opportunities for the optimum effect. The conscience of India does not accept injustice for too long. Injustice is not in India’s DNA. This is the exclusivity of India. There is something about this land that it does not let injustice take root or flourish. On most occasions, we Muslims are not able to appeal to that feeling but sometimes we do. On many occasions, we don’t. When we do not, that is our problem. If we choose the path of reason, then I would say a vast majority of Indians would stand with truth and justice. We need to get out from behind the walls of isolation that we have built around us. We must increase our channels of communication. Q: In the Babri Masjid case mediation council, who will represent the Muslims? A: Those who are parties to the case will appear before the mediation council. The case is not between Hindus and Muslims and so the mediation is not going to be between Hindus and Muslims. Jamiat Ulema-e-Hind is one of the parties in one of the cases. The All-India Muslim Personal Law Board is a party in six cases related to the Babri Masjid. These two will definitely be there. Both are very strong Muslim representatives. And then there are the non-Muslim parties to the case. Q: You keep saying in your speeches and talks that Hindus cannot be taken as one monolith. Can you elaborate on that? A: There are 11 crores Adivasis (tribals). They are engaged in a brave fight against the Brahminical social order. We have opened good channels of communication with them. Look at the Lingayats in south India. They number 7.5 crores. They were considered non-Hindus before India attained independence. After Independence, they were forcefully categorized as Hindus. They are engaged in movements to reestablish their original identity. There is great awareness among the Buddhists of India. The SCs/STs (scheduled castes and scheduled tribes) have become fully aware of their positions. The broad-based alliance that I referred to earlier can be formed very easily on the basis of a common minimum program. It is not possible that all of us will agree on all the issues. That is not possible. On the agenda of protecting the democratic and secular ideals of our nation and on the issue of protecting our Constitution, we can bring together a vast majority through this common minimum program. So if Muslims lose the case in the Supreme Court, it will be like the proverbial darkness of the night that ultimately leads to a bright morning. Q: There is one question that keeps wracking the minds of Muslim intellectuals in India and that is: Why Muslims should be in a fight against Brahmins. They reason that during Muslim rule in India, during the Mughal era, the people who were actually running the country belonged to the high castes. Brahmins were in powerful positions in the Mughal court. The martial component of Hindus, especially the Rajputs, were the mainstay of the Mughal army. Where has the relationship gone wrong? Why didn’t it continue? A: We, the Muslims, made and accepted Brahmins as our Quaid-e-Azam (the tallest leader). We made Gandhiji our leader. We made Nehru our leader. We made Indira Gandhi our leader. A majority — 90 percent — of those whom we accepted as our leaders were either Brahmins or members of the upper caste. But we must learn from the experience of the last 70 years. We must not repeat our mistakes. Q: There is a group among Muslims which can be described as intellectual. This section of the liberal Muslim intelligentsia includes secular-educated writers, journalists, and academics. The influence of this group on the Muslims of India is at best marginal. On the other hand, we have reputable Islamic scholars who are the products of religious education and religious seminaries. They have an enormous following among the Muslim masses. They are considered far more credible because of their Islamic background. Why has there been no effort to bring these two important segments of the Muslim community together? Why are they poles apart? A: You have struck a chord in my heart with this question. The real problem is the educational system. The duality of our educational system has caused this gap. This happened after the arrival of colonial powers — the British — in India. Our education system in the past never suffered from such a duality. Let me give you one example. Two pupils of a great Islamic scholar in the past were Mujaddid Alf Sani (Sheikh Ahmad Sirhindi) who was himself a great Islamic scholar. His fellow pupil of the same teacher was the chief engineer/architect of the Taj Mahal. Both — a reputable architect and a well-known scholar — were students of the same teacher. Madrasas in the past produced engineers, doctors, scientists, judicial experts, Islamic scholars, exegetists of Qur’an, jurists — all of them were products of a traditional madrasa. This is our history. When the British came, they turned everything upside down. They believed in separating religion and education. They divided the education system in two and the two became two streams — religious education and modern pedagogical education. As a result, we became helpless. They completely divested religious education of its economic utility. This was done deliberately so that a product of a madrasa education had no chance of earning a livelihood with the religious education he had received. When the economic utility of madrasa education was made redundant, our children went to modern, secular schools, colleges and universities in order to seek better career prospects and jobs. From the Muslim point of view, when we were under British rule, it was important for us to retain our identity as Muslims and protect our deen (religion). If everyone had gone to study modern, secular education, there would have been nobody to read the Qur’an; nobody would have known how to pray or when to pray, etc. Thus, in those days, it was decided to protect Islam and our identity. That was given preference over earning a living. Religion and our religious identity, of course, came first. This was to be a temporary strategy. It was not permanent. I stress here that it was a temporary strategy designed to face the challenge of the British colonial era and I am talking about the time after 1857. Now, what happened is that — and this is not exclusive to Muslims: rather it is the story of all defeated people — when a community is on a downward spiral, it becomes traditional and inward-looking. It is not able to distinguish between what traditions are temporary and strategic and what traditions (riwayaat) are permanent or eternal (daayemi). So there were two systems of education. One system was producing what we call professionals and intellectuals. This section was very important and very respectable. The other stream was producing what we call Islamic scholars. Now, a majority of the products of this stream were not able to understand modern challenges. Each era had its language and that is the master key to understanding the era. There was a time in India when you could not understand anything without learning Persian. It held the key to power and knowledge. Now we are in 2019 when we cannot understand the challenges of modern times without understanding English or other Western languages. We cannot understand our era without having knowledge of modern languages. If we don’t know English today, we will not be able to understand the politics of today, the commerce of today, the banking system of today or the economic system. Nor can we fully understand science. We cannot even clear our doubts if we don’t know English and other modern languages. The whole dynamic changes. The wavelength of the students of our madrasas today is totally different from that of the intellectuals and students in modern, secular schools colleges and universities. There is no correspondence between the dynamics which don’t match so the gap is widening. What is saddening is that though there is, and has been, an awareness in the community about this, there has not been any consistent large-scale effort to bridge the gap in order to integrate the two sections and so end this duality in education. Q: Was this duality in education exclusive to the Muslims of India? A: No, it is the bane of the entire Muslim world. From Libya to Morocco, to Sudan, to Syria, and even in our subcontinent, especially Pakistan. When Muslims and Arabs were fighting for their freedom from British, French, or Portuguese rule, the madrasas provided thousands and thousands of people who became martyrs. They led from the front. In Algeria, too, the majority of freedom fighters were God-fearing Muslims. They were products of madrasas. All these states became independent and threw off the colonial yoke but when the countries attained independence through the hard work and priceless sacrifices of madrasa graduates, there were no professionals to take charge of the machinery of the state. There was nobody to run the education ministries, the foreign policy, the interior ministries, the finance ministries, the health services, or people who could understand the modern medium and idiom. The madrasas had not produced people with such skills. States, however, had to run and function and so we had to bring in professionals from Washington, London and Berlin and the rest of the modern world. These professionals began to run the countries. Naturally, they ran the countries on the basis of their experience and education which they had acquired in their home countries. They ran the Muslim and Arab countries along the lines they had been taught by their education. I will not say or claim that they were the enemies of Islam or of Muslim countries. I am against calling anybody and everybody an enemy of Islam; I am totally against this. What I know, however, is that these professionals who came from outside to run Arab and Muslim countries relied on their particular beliefs and customs and they ran our countries according to their experience and education. There is every possibility that they were friends of Muslims. I, therefore, don’t describe this as a tragedy for the Muslim world. I consider this to be a tragedy for humanity. We have not been able to project Islam as a provider of solutions for today’s problems. Even today we have not been able to do that. I don’t think — and I don’t believe — that a majority of non-Muslims hate Islam. They do not. If we had had professionals who could provide solutions to today’s problems in the light of Islam and if then the world had refused, we might say that non-Muslims had refused to accept the truth — but we never came up with solutions. A: Never. Take the case of Pakistan. It was created in the name of Islam. It was to provide solutions. The Muslims of Pakistan failed because of this very duality of education. The Islamic scholars helped attain independence by providing freedom scholars by the thousands. When the country became independent, there were no bureaucrats because madrasas did not produce bureaucrats. They did not have people familiar with statecraft because madrasas did not produce them. The products of modern secular education think of the products of madrasas as having a parochial, narrow-minded, difficult mindset, and we the Islamic scholars think of modern educated people as deviants, as ones who have strayed from the right path. This is absolutely wrong. Both are wrong. The majority of our professionals, both boys and girls, are very promising, and very talented. They have a positive mindset. I wish madrasas could present to this talented section the messages and teachings of Islam in a language that they could understand. Today Islam has not been taken as a relevant religion. Our own young people do not think that Islam is relevant. So now is the time for us to work on the education system. Q: How? How can today’s madrasas produce an architect and an Islamic scholar at the same time? A: You are an Indian and I invite you to look at a small initiative that we have taken in this regard. Notable personalities have praised what we have done. We have established an institute called Darul Uloom Imam-e-Rabbani. It is in Maharashtra, between Bombay and Pune, in a village called Mamdapur in Neral. It was set up some seven years ago. What is notable about this institute is that a student takes courses in Arabic in all subjects that are taught in a traditional madrasa, such as Qur’an, hadith, tafseer (jurisprudence) while at the same time, he takes the subjects taught in a modern school in English such as physics, chemistry, mathematics, biology, English, computer science, history, geography, etc. Our students sit for the Maharashtra State Education Board exams. They are doing their 10th Grade in English and are also becoming “aalim” (Islamic scholars). The students speak fluent Arabic and fluent English. We also have sports and other extracurricular activities. We have mixed the best of madrasa education with the best of modern education. The educational experts who have visited us have had very encouraging words for us and this has boosted our morale. We believe that is the first of this kind of experiment in India. There has been wide acceptance of this model but we don’t know if any other countries have such a model. Maybe some do, but we are not aware of them. In India, however, this is definitely the first such successful attempt at ending what I referred to as the duality in education. Q: Can you expand on this a bit more? A: The universe is a work of God. The Holy Qur’an is the word of God. You will not be able to understand the word of God until — and unless — you understand the work of God. Those who understand the work of God better will also be able to explain the word of God in a better way. There are several verses in the Holy Qur’an that refer to the work of God — the sun, the moon, the galaxy, etc. So those who understand the work of God are in a better position to explain the word of God. Unfortunately, because of the duality of the educational system, we have people who partially understand the work of God, like for instance, someone has done a PhD. in geology. Yet they have no idea what the Qur’an says about geology. There are many people who are experts in medical science but they have no idea what the Qur’an says about embryology and what it says about psychology. Q: You have great insight into the history of Muslims in the Indian subcontinent. In 1947, the Muslim creme de la creme went to Pakistan and left behind a large group of economically and politically weak Muslims. In the last 70 years, do you think the lot of Muslims has become better or worse? A: I feel the situation of Muslims in India has improved a great deal. We have reached this point after a long, arduous, and very tough struggle. The desperation that we see today in some sections of Indian society is because those sections never thought Muslims would survive and resist for so long. It is an act of desperation on their part. Those right-wingers thought they had chased Muslims away into Pakistan and that they were free to do whatever they saw fit to do, but the fierce resistance that came from all justice-loving and peace-loving Indians — what I have called the conscience of India — frustrated their plans. They will continue to fail in the future as well. This is my conviction. There is every possibility that they (the right-wingers) will do something worse, but India will not tolerate it. India will reject it. In fact, such an attempt may lead to a bright future of peace and justice. Thus to answer your questions, I see the overall situation as better. Q: The kind of excesses, like mob lynchings, etc., that we saw in India in recent times, did we have something similar happening over the last 70 years? Of course, we are not talking about the horrors of Partition. A: We have gone through several different stages over the last 70 years. There was a stage when Gandhiji was assassinated and the nation went into shock. The shock became all the more acute when it became clear that the man or men who killed Gandhiji was/were neither Muslim nor Sikh, but Brahmin. The right-wingers were distressed and dejected because of this feeling of guilt (“mujrimana ehsaas“). Unfortunately, the Indian leadership at the time could not convert this national tragedy into a resolve to get rid of the venom that was injected into India’s body politic by the right-wingers. They could not do it and let me say, they did not do it. They could have done it. There was no pushback. In fact, in 1948 Gandhiji was assassinated, and in 1949, idols were placed in Babri Masjid. Pandit Nehru was the prime minister. The chief minister of Uttar Pradesh was a Congressman. There was no other party. The idols could have been easily removed. There would have been no problem. It would have been very easy. This has always been a problem with our secular forces. They do not fight the fascist forces the way they should. They allow them to flourish (“panapne diya unhe“) — perhaps to perpetuate the votebank/election politics. In electoral politics, principles and values become secondary. The real bottom line is an electoral victory so that was one stage. Then there was another stage in 1992 when Babri Masjid was sacked in Ayodhya. That was a very difficult period for Muslims in India, a very, very difficult period. It was felt that Muslims would never be able to live in India again. But then there was, and is, a parallel undercurrent against the fascist forces. This undercurrent does not get much media coverage or exposure so people in the outside world are unaware of it. The important aspect of this undercurrent is that it is very broad-based. It includes people of all religions and all sections of society. They all are fighting against injustice. The opinion-makers among Muslims must understand that this is not a fight between Hindus and Muslims. It can never be and it should never be. It is a fight between the oppressed and the oppressor. The oppressed are in an overwhelming majority in India and the oppressor is in a minority. The outgoing government won a huge majority during the last elections in 2014. And what was their vote share? Thirty-one percent. Which simply means 69 percent of the vote was against this government. This 69 percent was divided among different parties, sections. This time around those who love India and its secular democratic values must try to bring this 69 percent together and avoid divisions among them. Q: One last question: Suppose Narendra Modi and his party win again and he becomes the prime minister, what will be the feeling in India? A: Then, God willing, the spirit of our peaceful struggle against the oppressor will become greater and stronger. Those whose unflinching faith it is that the final decision rests in the hands of Allah will never be, and can never be, depressed or pessimist, come what may. We will fight back. And by “we,” I mean not just Muslims but all the oppressed against the oppressor. I will end this interview with this sentence: We need to learn the fine art of converting challenges into opportunities. Challenges are a precursor to opportunities. This is what we learn from the life and times of Prophet Muhammad (peace be upon him). India will become a bright and fine example of peace and justice. We will have to struggle for that bright India and we will. InshaAllah. Q: On that bright note, thank you very much. It was a pleasure talking to you. She is a rarity in the foreign diplomatic corps in Jeddah. Ever since she arrived in January 2015 for her first foreign posting as Italy’s consul general, Elisabetta Martini has carved a niche for herself and her country through her extraordinary work and outreach efforts. On the eve of International Women’s Day, she spoke to Arab News about the challenges she has faced as a female diplomat, and her observations about Saudi women. She started her diplomatic career in 2012. She was posted in Rome for two years, where she dealt mostly with European affairs and foreign policy. She graduated in political science and completed her master’s in international relations. She interned for six months at the Italian Embassy in Washington, DC, while she was doing research for her final thesis at John Hopkins University. The subject of her thesis was the Silk Road. During her time in the US, she was associated with a well-known Italian think tank, the International Affairs Institute (IAI). “That’s when I realized the importance of think tanks,” she said. From the US, Martini moved to Brussels as the assistant of the representative of the Italian Senate at the European Parliament. “That was an extremely useful experience for me,” she said. Later, she worked as an export manager for a German design company. “I represented this German firm and I used to sell a lot of their products to mostly Arab clients,” she said. All this experience stood her in good stead. “I got to know the private sector, the powerful role of think tanks and then the public sector,” she said. In the first week of her arrival in Jeddah, King Abdullah died. “So change started to happen very quickly. That was another challenge for me, because my first public appearance was to give condolences for the death of the late king in the (presence) of the governor of Makkah,” Martini said. On how challenging it is for a female diplomat in a country where women are not the predominant force in public life, she said: “It’s difficult for women, not just a female diplomat, all over the world, not just in Saudi Arabia. In my country, when I deal with my own people as myself and not as a diplomat, I support women’s rights. Everyone should give this contribution to the development of his or her own country. She said people in Italy are surprised to know that she is the consul general in Jeddah. Regarding Saudi women, Martini said she has seen a lot of changes. “When I came here, I was a bit surprised because the American consul general was a lady before me. The British consul general was a lady some years ago. The German consul general was a lady, so I wasn’t the first lady in the diplomatic service here. The difference was that I was young, so I had to prove myself. Martini said she has interacted with a lot of women here. “Saudi Arabia isn’t one Saudi Arabia. There are different layers of society. There’s a big difference between the various classes of society. Some women who come from opened-minded families don’t have to face any problem. There are women who participate in municipal elections and civic activities. As a diplomat, did she encounter conservatives in the Kingdom, and if so how did she deal with it? “In Saudi Arabia, people recognize authority. They have a very strong sense of authority. They might say ‘you’re a lady and young,’ but they know I represent Italy in Jeddah. They have a strong respect for the state. So as far as I’m the consul general, they respect me. Everyone meets with me in a very respectful way. Matthias J. Mitman could not have imagined what was in store when he arrived in Saudi Arabia two years ago to take up his post as the US consul general in Jeddah. “I did not anticipate the degree to which change would occur in the Kingdom when I came here in 2016,” he said. Mitman’s job as a diplomat meant that he had a ringside view of these momentous changes. He took time out from his preparations to leave the country — now his posting is almost over — to welcome Arab News to his residence in the US Consulate in Jeddah’s Al-Ruwais district. During an exclusive interview, he reflected on his time in the Kingdom and shared his thoughts about an eventful assignment, his impressions of Crown Prince Mohammed bin Salman, and his views on the Saudi people — in particular the youth. “It has been a very dynamic and interesting period,” he said. “The Saudi Arabia that I came to two years ago is not the Saudi Arabia we are living in today. Crown Prince Mohammed bin Salman has put into place his Vision 2030, which has resulted in remarkable changes in the economic landscape, as well as in the cultural and social environment. Mitman said the crown prince had impressed him with his leadership, his vision for the country, and his ability to strategically plan its implementation. “I have met (the crown prince) and I think he is a very dynamic leader,” he said. “He has a vision for the future of Saudi Arabia. He thinks strategically and he is dedicated to formulating a plan to bring about that vision. He wants to work closely with the United States so we have worked very closely with him on a number of issues related to Vision 2030. Mitman met many young Saudis during his posting, an experience that gives him confidence for the future of the country. Among the many changes that Mitman has witnessed in the past two years, a few stick out as particularly noteworthy. “One of the reforms that I have seen is the promotion of the private sector as an engine of growth in Saudi Arabia,” he said. “The Saudi economy was traditionally dependent upon the export of hydrocarbons — oil and gas. Graduates at one time expected to work for the government, and what I have now seen is a vibrancy, dynamism and entrepreneurship, especially in young people who are interested in forming their own companies and businesses. These will be small- and medium-sized enterprises — and in any economy the engine of growth for job creation is people who start out as small businessmen. “Apple, Google and Microsoft started out as small companies with one or two people, and in many cases they were working in their garages. Yet now they employ hundreds of thousands of people, and the net worth of a company such as Apple is approaching $1 trillion in capital value. That is what the private sector can do. Ultimately, Mitman said, the Kingdom’s most valuable resource is not oil, but its people. As such, the empowerment of Saudi women is a crucial development. “I have visited universities in Madinah, Tabuk, Taif and Abha and I have seen the majority of students are women,” he said. “These women are a tremendous human resource that is skilled, talented and educated. “I think one of the most profound changes is the one that enables women now to enter the labor force more easily, with greater flexibility, and part of this is a greater understanding of what is necessary to facilitate women working in the private sector. A career diplomat with the Senior Foreign Service, Mitman arrived in Jeddah in August 2016. He speaks Greek, Russian, Spanish and some German, and is a distinguished graduate of the National War College, earning an MA in National Security Studies in 2006. Prior to his career with the State Department, he was an assistant professor of economics at Ball State University. Before arriving in Jeddah, he was consul general in the Iraqi cities of Irbil and Basra. Earlier in his career, he worked at the US embassies in Tegucigalpa, Honduras, and Moscow. 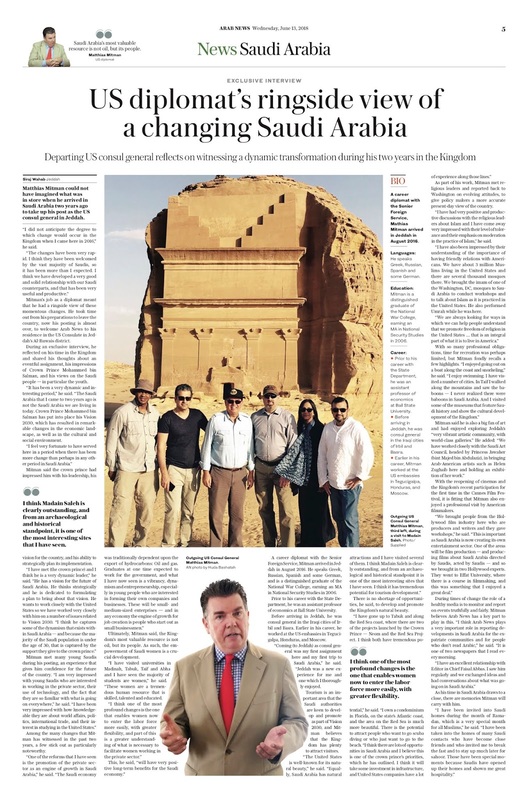 Tourism is an important area that the Saudi authorities are keen to develop and promote as part of Vision 2030, and Mitman believes that the Kingdom has plenty to attract visitors. There is no shortage of opportunities, he said, to develop and promote the Kingdom’s natural beauty. “I have gone up to Tabuk and along the Red Sea coast, where there are two of the projects launched by the Crown Prince — Neom and the Red Sea Project. I think both have tremendous potential,” he said. “I own a condominium in Florida, on the state’s Atlantic coast, and the area on the Red Sea is much more beautiful. There is the potential to attract people who want to go scuba diving or who just want to go to the beach. “I think there are lots of opportunities in Saudi Arabia and I believe this is one of the crown prince’s priorities, which he has outlined. I think it will take some investment in infrastructure, and US companies have a lot of experience along those lines. “I think they will be interested in being part of the hospitality or travel industry, or any industries that facilitate tourism. 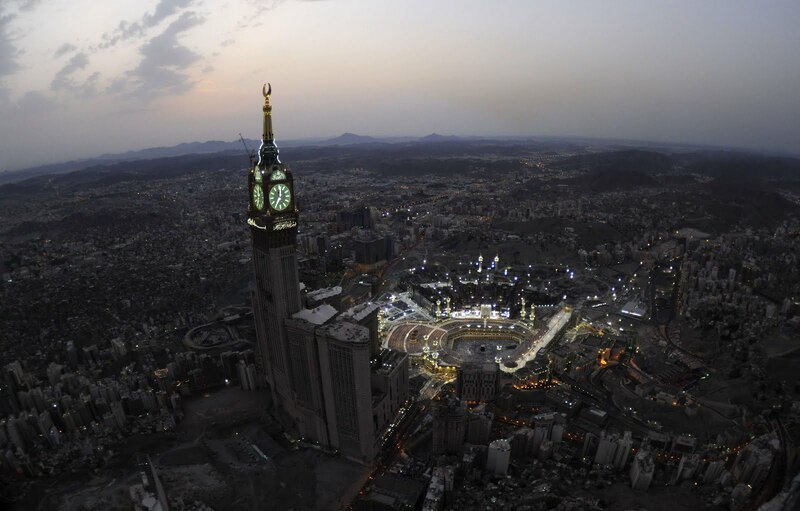 “We already have about 75 travel agencies in the US that organize trips for Americans to come here for Hajj and Umrah, so we are talking about more than 20,000 people from the US who come here every year for religious journeys. The same skills and knowledge in arranging those trips can be used to arrange tourist trips that will appeal to Americans. As part of his work, Mitman met religious leaders and reported back to Washington on evolving attitudes, to give policymakers a more accurate present-day view of the country. “I have had very positive and productive discussions with the religious leaders about Islam and I have come away very impressed with their level of tolerance and their emphasis on moderation in the practice of Islam,” he said. “I have also been impressed by their understanding of the importance of having friendly relations with Americans. We have about 3 million Muslims living in the United States and there are several thousand mosques there. We brought the imam of one of the Washington, DC, mosques to Saudi Arabia to conduct workshops and to talk about Islam as it is practiced in the United States. He also performed Umrah while he was here. With so many professional obligations, time for recreation was perhaps limited, but Mitman fondly recalls a few highlights. With the reopening of cinemas and the Kingdom’s recent participation for the first time in the Cannes Film Festival, it is fitting that Mitman also enjoyed a professional visit by American filmmakers. As his time in Saudi Arabia draws to a close, there are memories Mitman will carry with him. “I have been invited into Saudi homes during the month of Ramadan, which is a very special month for all Muslims,” he said. “I have been taken into the homes of many Saudi contacts who have become close friends and who invited me to break the fast and to stay up much later for sahoor. On some nights, I have had iftar in one house and sahoor in another. During times of change the role of a healthy media is to monitor and report on events truthfully and fairly. 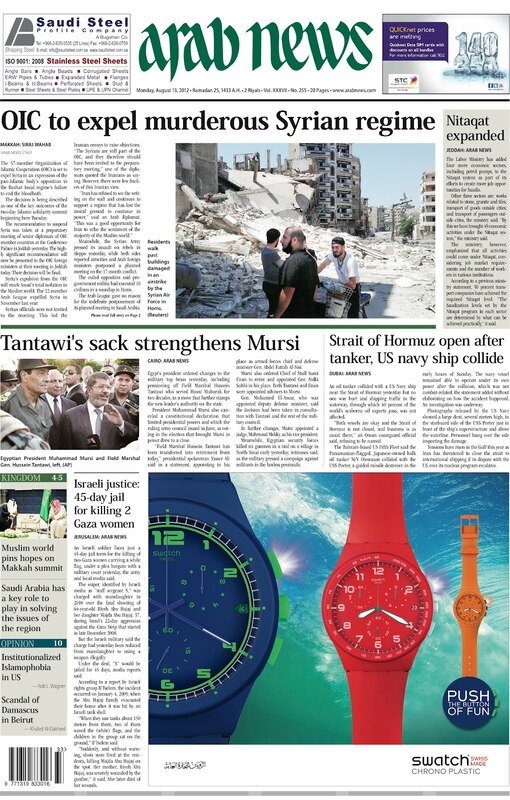 Mitman believes Arab News has a key part to play in this. “I think Arab News plays a very important role in reporting developments in Saudi Arabia for the expatriate communities and for people who don’t read Arabic,” he said. “It is one of two newspapers that I read every morning. Mitman has a few parting thoughts for Americans and Saudis, based on his time in the Kingdom. “For the Americans, I would say if you haven’t visited Saudi Arabia recently you might be pleasantly surprised with the natural beauty, the attractions, and the warmth and hospitality of the people,” he said. “To Saudis, I would say thank you for hosting me and allowing me to live for two years in your country. I am grateful for the friendships that I made with many Saudis who helped me to build a bridge between America and the Kingdom. And I thank them for the great cooperation between our two countries in economics, trade and investment. WHEN Saudi Arabia’s King Salman named him as the deputy crown prince a year ago, few outside the royal circle knew who Prince Mohammed bin Salman was. The Western media, more specifically journalists in America, scrambled to find more information as it became clear a new younger leadership was emerging in Saudi Arabia. One important reason for this lack of information was that he did not go abroad for higher education like most other members of the royal family. He is a product of King Saud University and had remained inside the Kingdom throughout his young life. He was therefore an unknown quantity. 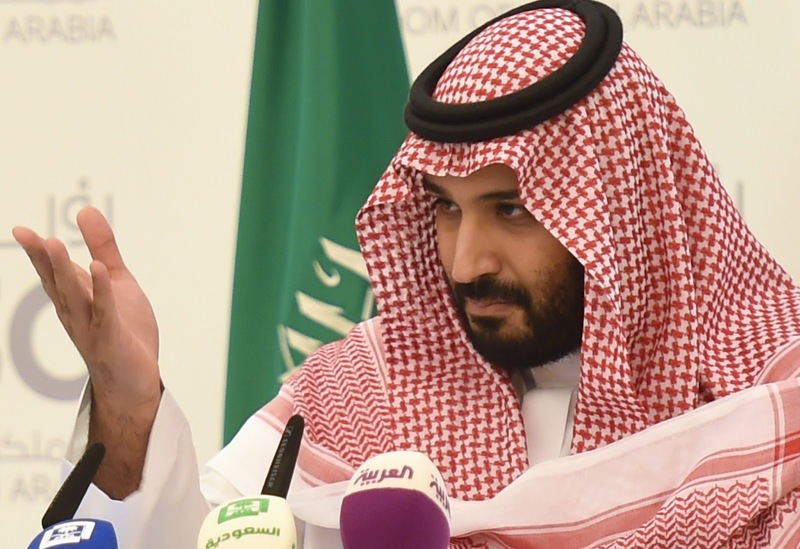 Complicating matters for the foreign media was that there was very little on the Internet about him except for sparse details about the Prince Mohammed bin Salman bin Abdul Aziz Al-Saud Foundation (MISK) that he still leads. That was in May 2015. A year later, he has turned out to be Saudi Arabia’s best-kept secret. The first hint of Prince Mohammed’s genius was revealed six months later in a column written by Thomas L. Friedman in the New York Times. Entitled, “Letter From Saudi Arabia,” the November 2015 column was based on Friedman’s interview with Prince Mohammed, the young Saudi leader’s first interview with a major foreign media outlet. That interview was widely discussed inside and outside Saudi Arabia. The young prince instantly became a hero for what he said and planned to do. He immediately struck a chord with the 70 percent of Saudis under the age of 30. In him they saw someone who thought like them and understood their problems, and a leader ready to take action that would insulate the Saudi economy from global risks. A series of decisions since then have burnished his image as a no-nonsense leader who says what he means and means what he says. Twitter and other social media have been abuzz with his virtues. Within a few months of his appointment as deputy crown prince, he made high-profile visits to Russia, France and the United States, winning the crucial battle of perception. The media and world leaders started taking note. After one meeting, US President Barack Obama said Prince Mohammed surprised him with his crystal clear ideas about the Saudi and global economy, and Saudi Arabia’s relationship with the outside world. Obama said Prince Mohammed had ambition, energy and knowledge of a wide array of complex public policy issues. “He is wise beyond his years,” is how Obama described him after their meeting in May 2015 at the United States-Gulf Cooperation Council Summit at Camp David. Since then he has won over his critics and pleasantly surprised his huge number of followers. The path-breaking interview that he gave to Bloomberg in April was the clearest indication of his coming of age. Nothing was off the record in that interview. The prince, as the Bloomberg interview revealed, divides his time between his father’s palaces and the powerful Defense Ministry that he heads, working from morning until after midnight most days. He has frequent meetings with the king and spends long sessions with consultants and aides poring over economic and oil data. That interview and the one he gave to Al-Arabiya TV on the day his pet project Saudi Vision 2030 was announced indicated the arrival of a young and decisive leader in Saudi Arabia. It was frank and full of candor. He did not consult notes while fielding questions from Turki Al-Dakhil. Famous columnist Abdulateef Al-Mulhim was highly impressed. “My impression is that he is very confident and aware of the many needs of the Kingdom and its citizens. During the Al-Arabiya interview, he seemed very well-informed about the future path needed to upgrade the standard of life for Saudis. He seemed very transparent in his discussion about the internal issues in Saudi Arabia,” he said. “Many Saudis — myself included — have found the frank tone he has been using in his media interviews to be refreshing. Prince Mohammed has been very forthcoming in acknowledging the economic challenges that Saudi Arabia is facing. He has also been open about the need to re-evaluate previous policies which have led to an over-reliance on oil and the underdevelopment of other sectors of the economy,” said Nazer. Christopher Williams, an American who lived for many years in Saudi Arabia, was ecstatic with the young prince’s frank talk and ambitious vision. “Prince Mohammed was very poised and gave a very positive impression. He was obviously on top of the situation. He had done his homework very thoroughly and was sure of what he wants for Saudi Arabia and how he believes his goals can become reality,” he said. Williams thinks he handled the press, both local and foreign, very confidently, referring to the press conference that he held in Riyadh on the night Saudi Vision 2030 was unveiled. “What the foreign press often overlooks is that its opinion is not what is important in Saudi Arabia; there is interest in that opinion of course but ordinary Saudis must be sold and convinced about what the prince aims to do and that is not done by the foreign press. 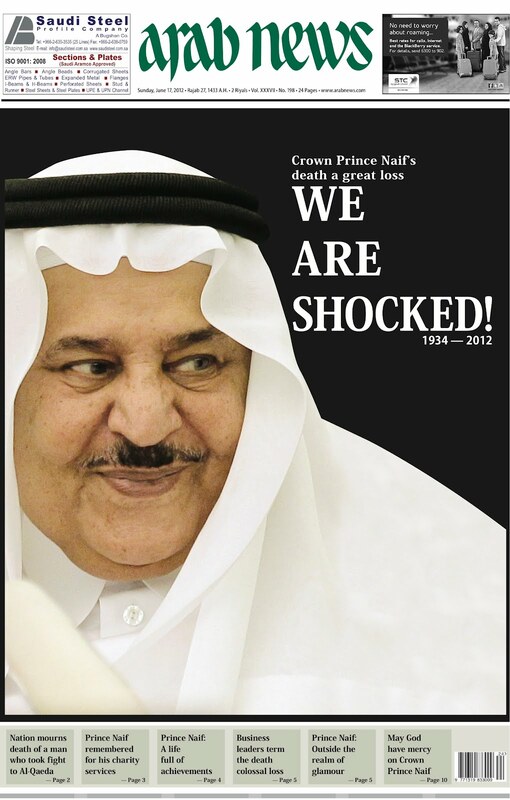 Saudis are his first and primary audience,” Williams added. Prince Mohammed is seen as a new Arab hero and Arab News Editor in Chief Mohammed Fahad Al-Harthi described him aptly in his recent column: “Prince Mohammed is a young enlightened man who is behind a project that will serve the country. 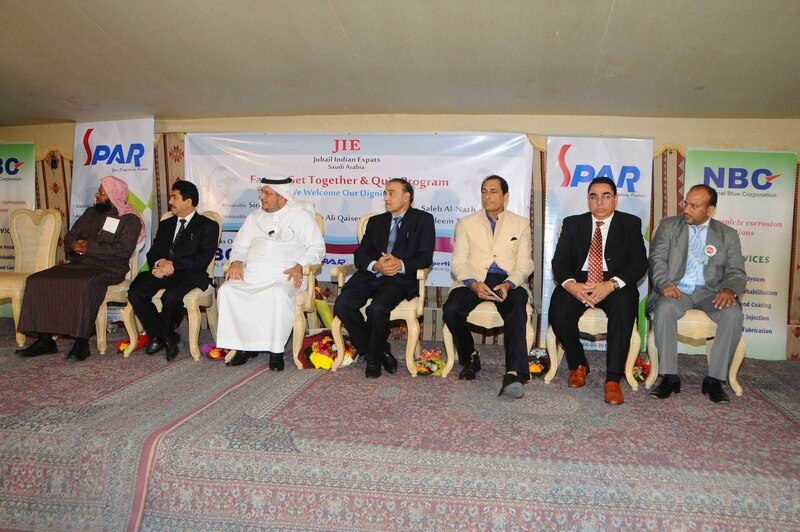 From left: Mohammed Ali Siddiqui, Nadeem Tarin, Saleh bin Fahad Al-Nazha, Sirajuddin Qureshi, Mahboob Ali Qaiser, Dr. Dilnawaz Roomi and Asif Rameez Daudi at the event organized in Jubail recently. Top Saudi industrialist Saleh Fahad Al-Nazha, Sirajuddin Qureshi, 2nd right, Mahboob Ali Qaiser, right, and Asif Rameez Daudi. Sirajuddin Qureshi, Mahboob Ali Qaiser and Saleh Fahad Al-Nazha pose for a group picture with the event organizers. A top-ranking Saudi industrialist has acknowledged the contribution of the Indian community to the development of Jubail as the world’s leading hub of petrochemical industry. Tasnee President and Chief Operating Officer Saleh Fahad Al-Nazha was speaking at a program organized by Jubail Indian Expats (JIE) to welcome and felicitate Sirajuddin Qureshi, president of the New Delhi-based India Islamic Cultural Center, and Mahboob Ali Qaiser, president of the Bihar Pradesh Congress Committee. 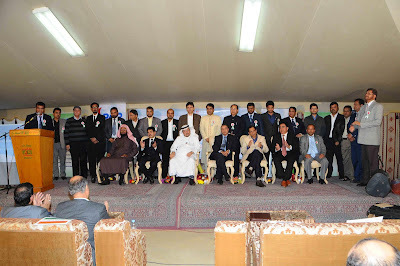 There was a thunderous applause from the assembled audience that included some of the best-known Indian expatriates such as Nadeem Tarin, Mohammed Ali Siddiqui, Asif Rameez Daudi, Anis Bakhsh, Meraj A. Ansari, Dr. Dilnawaz Roomi, Amjad Khan, Habib Shaikh, Mohammed Abdulsattar, Rahat Sultan and Parvez Askari. Qureshi recalled his various suggestions to many government commissions that were tasked with improving the lot of Indian Muslims. “The Sachar commission report has shown us in very negative light and so did the Ranganath Misra commission report; it is not that the government is not aware of our problems; they have known it for the last 60 years and it will take them another 600 years to solve them,” he quipped in a note of sarcasm. Qureshi advised Indian Muslims to work hard and concentrate on education. “You, Indian expatriates, who have risen to top positions in your chosen field here in Saudi Arabia, you did not bank on government support, your success is yours, you worked hard for it and achieved it, you are the best example and the real inspiration for the rest of the community in India,” he said. Nobody took the project seriously, he lamented. “I would pass by this prime land every day and would wonder why was it not being completed. As a member of the center’s founding committee I always impressed upon my fellow members the need for completing the project because it did not reflect positively on the community,” he said. 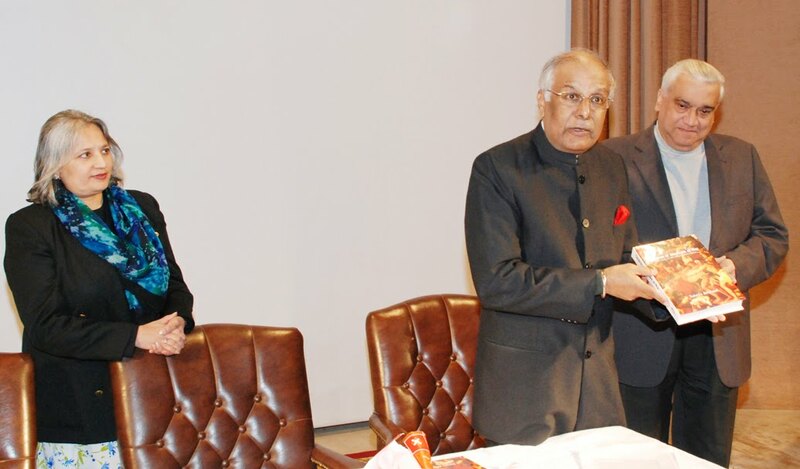 Qureshi praised Asif Daudi, the architect of the program, for creating awareness about the center among the Indian expatriates in the Eastern Province. “I urge you all to become full-time members of this center; visit our website (http://www.iiccentre.org/) for details; I have special interest in NRIs (non-resident Indians) because they are apolitical; I want to save the center from any possible politicization,” he said. The highly articulate and suave politician from Bihar, Mahboob Ali Qaiser, congratulated the Jubail Indian community for coming together for a good and constructive cause. Qaiser agreed that there was bias against Muslims in India but said that has not stopped hard-working Muslims from going ahead in life. Educationist Nadeem Tarin, who runs a number of prestigious educational institutions in India and Saudi Arabia, spoke about the importance of education to the well being of the community. Syed Baqar Naqvi conducted the proceedings with poise and grace. Asif Daudi thanked all members of JIE’s core committee, including Mohammad Shibli, Mohammed Farooque Shahbandri, Abdul Haleem, Mufeeduzzama, Nasiruddin, Jamil Akhter, Imteyaz Khan, Aziz Siddiqui, Javed Ashraf, Asif Siddiqui, Shahnawaz, Khalili, Naveed and Sajid for the program’s success. As Saudi Arabia celebrates its National Day today, there is a significant section of the population that has reasons to cheer more than others. Not that the women of Saudi Arabia were marginalized in the past, but in recent times they have been given the honor, credit and the space that they richly deserve. Saudi society has been a little more welcoming of their pursuits and initiatives. Government institutions have grown more responsive to their needs, and the media have become more vocal, both in reporting their successes and failures. The leadership at the top provided the incentive by appointing a woman as minister. The private sector hasn’t been far behind — opening the doors of their establishments to these women who have achievements that would have been unimaginable a few years ago. Not a day goes by where you don’t see talented Saudi women making important contributions in almost all fields of endeavor. Their faces, beaming with pride, adorn the pages and covers of prestigious publications. Foreign journalists visiting the Kingdom, with preconceived notions about Saudi women, have not hidden their appreciation and admiration of Saudi women after meeting them in person. Many have described them as second to none. And yes, they are second to none. To the Western world all these changes may sound insignificant, but for those who have been watching the Kingdom’s development over the last few years these are no proverbial mirages in the desert. To those in the West, the barometer for women’s emancipation is the ability to drive on Saudi roads. However, that is not the most pressing issue for Saudi women. There are other more important things, and they have learned to work within the system to get things done their way. For a Western observer the image of a Saudi woman is that of an abaya-clad prisoner who can do nothing on her own and is completely subservient to the whims of her male masters. That is certainly not the case, and newspapers here and abroad and social networking sites such as Facebook are proof that Saudi women are making slow yet continuous progress. Only last month, the newspapers were filled with the success of equestrienne Dalma Rushdi Malhas who rode her way to fame with a medal-winning performance at the recent Singapore Youth Olympics. Among the first people to reach flood-hit Pakistan with relief was Muna Abu-Sulayman. She was among those coordinating the massive relief efforts undertaken by Kingdom Holding Co. Chairman Prince Alwaleed bin Talal. Hayat Sindi is breaking new grounds in the field of science; Huda Ghosun and Hiba Dialdin of Saudi Aramco have assumed key leadership positions; Asya Al-Ashaikh has given a new and positive direction to the concept of corporate social responsibility. Nora Alturki and Fatin Bundagji are engaged in pioneering research on the needs and aspirations of Saudi businesswomen; Samia El-Edrissi has launched her own business; Amina Al-Jassim’s couture has become the cynosure of all eyes in the world of fashion; Lina Almaeena has created quite a buzz with her passion for bringing women into the world of sports; Hatoon Al-Fassi, the historian, and Samar Fatany, the columnist and radio commentator, have become the most-quoted people for their insightful comments; Lama Sulaiman, Hana Al-Zuhair and Sameera Al-Suwaigh are part of key decision-making within the Kingdom’s chambers of commerce. The list is endless, and it only goes to prove that they are taking the lead and conquering new territories. All this would not have been possible without the critical push from Custodian of the Two Holy Mosques King Abdullah. He brought them into the mainstream. He lent them a patient ear and understood the challenges they faced. Once the direction from the top was clear, there were other segments of society which saw the need to engage and harness this great potential. There is an interesting joke that all of us hear during free-wheeling conversations here in Saudi Arabia. For the first 25 years of their life, a Saudi man is controlled by his mother; the next 25 years he is firmly in the grip of his wife. And then he becomes harmless! That may be a joke, but Saudi women have come a long way and so widespread with their success that they will become common and no longer merit front-page treatment. 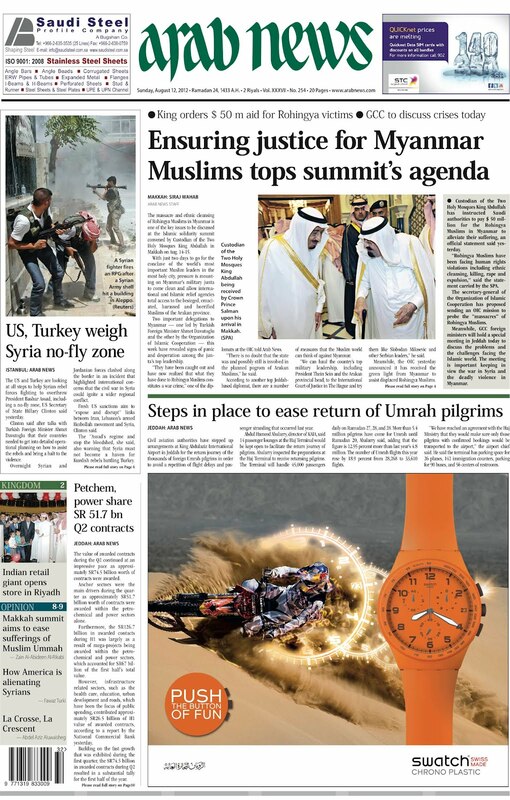 The 57-member Organization of Islamic Cooperation (OIC) is all set to expel Syria. This is to express the pan-Islamic body’s displeasure at President Bashar Assad regime’s failure to end the bloodshed in his country. The decision is being described as one of the key outcomes of the two-day Islamic solidarity summit beginning in Makkah on Aug. 14. The recommendation to suspend Syria was taken at a preparatory meeting of senior diplomats of OIC member countries at the Conference Palace in Jeddah yesterday. The highly significant recommendation will now be presented to the OIC foreign ministers at their meeting in Jeddah today (Monday). Their decision will be final. Syria’s expulsion from the OIC will complete Assad’s total isolation in the Muslim world. The 22-member Arab League expelled Syria in November last year during its emergency session in Cairo. 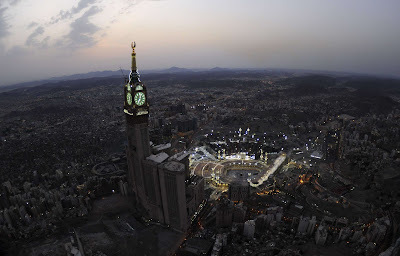 The preparatory meeting, chaired by Muhammad bin Ahmed Tayeb, director general of the Saudi Foreign Ministry’s office in Makkah Province, lasted nearly 12 hours. It included Iranian ambassador to Saudi Arabia and its permanent representative to the OIC. Syrian officials were not invited to the meeting. This led the Iranian envoys to raise objections. “The Syrians are still part of the OIC, and, therefore, they should have been invited to the preparatory meeting,” one of the diplomats quoted the Iranians as saying. However, there were few takers for the Iranian view. With Iran continuing to support the tottering Assad regime, it found itself totally isolated. The recommendation to expel Syria found instant favor from an overwhelming majority of OIC countries, including hosts Saudi Arabia, Turkey and Qatar. However, the diplomats attending the marathon meeting, reiterated that the session was not acrimonious. On the contrary, there was a lot of camaraderie among all the member states. Other than its expected stand on Syria, Iran demonstrated willingness to cooperate fully with fellow Muslim states on almost all issues, including Palestine, and repeatedly stated that the OIC should remain the bedrock of Muslim solidarity. Some nations, notably Kazakhstan, Iraq and Pakistan, suggested that efforts should not be given up to find a political solution to the crisis in Syria. There were divergent opinions among the member countries on the issue of the genocide of Rohingya Muslims in Myanmar. 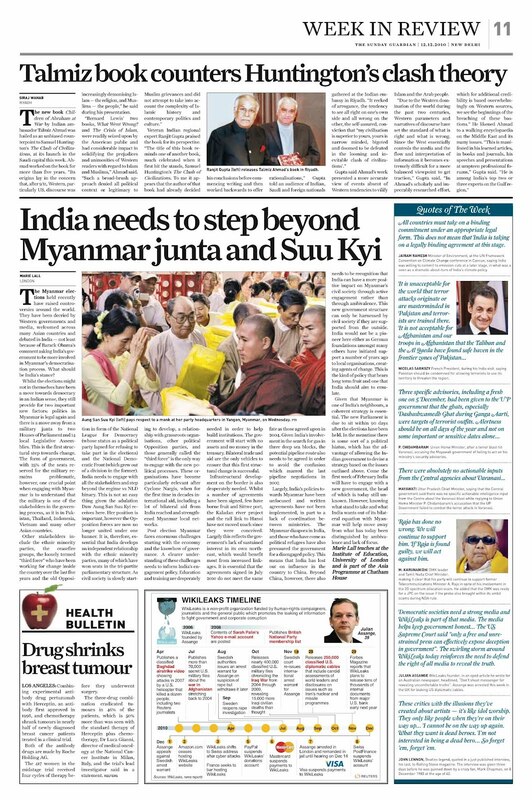 One section called for a strong condemnation and rapid reaction, while the other, that included Indonesia, Malaysia, Brunei and Bangladesh, suggested a policy of engagement with Myanmar. “The Asian nations felt that since the Myanmar government had indicated full cooperation with the Muslim world body, it should be given a chance to come good on its promise of delivering justice and bringing the murderers to book,” said an Asian diplomat. Mali was not supposed to be on the agenda, but almost all African member states vociferously raised the issue of the unprecedented political crisis in the landlocked west African country. And so finally it was decided to include it in the deliberations. The meeting recommended that the territorial integrity of the country be respected by all parties and that those who are flying the flag of rebellion against the central government should be stopped and condemned. At the preparatory meeting, OIC Secretary-General Ekmeleddin Ihsanoglu’s message was read out by Assistant Secretary General for Political Affairs Abdullah Alem. Besides political issues, the meeting discussed cultural and economic issues, interfaith dialogue initiatives and the rising tide of Islamophobia in Europe and other parts of the world. All these issues will find mention in the final communique. The ethnic cleansing of Rohingya Muslims in Myanmar is one of the key issues to be discussed at the Islamic solidarity summit convened by Custodian of the Two Holy Mosques King Abdullah in Makkah on Aug. 14-15. 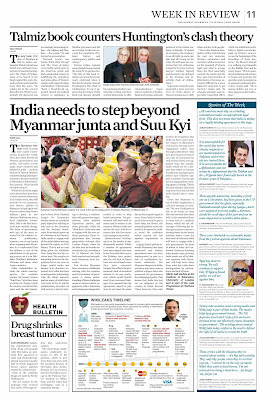 With just two days to go for the conclave of the world’s most important Muslim leaders in the most holy city, pressure is mounting on Myanmar’s military junta to allow international and Islamic relief agencies access to the besieged Muslim population of the Arakan province. Two important delegations to Myanmar — one led by Turkish Foreign Minister Ahmet Davutoglu and the other by the Organization of Islamic Cooperation — this week have revealed signs of panic and desperation among the junta’s top leadership. “They have been caught out and have now realized that what they have done to Rohingya Muslims constitutes a war crime,” one of the diplomats at the Jeddah-based OIC told Arab News. “There is no doubt that the state was and possibly still is involved in the planned pogrom of Arakan Muslims, and they are now trying to reach out to the Muslim world to lessen the impact of the expected robust and unified Muslim response at the Makkah summit,” he said. Besides Davutoglu, the Turkish delegation included Prime Minister Recep Tayyip Erdogan’s wife Emine and daughter Sumeyye. The delegation called on Myanmar President U Thein Sein and Foreign Minister Wunna Maung Lwin and visited the Banduba refugee camp where more than 8,500 Rohingya Muslims have taken shelter. The delegates received a first-hand account of what exactly happened to the Rohingya Muslims in the last few weeks. They talked to a number of victims and, at one point, according to reports in the Turkish media, the prime minister’s wife was reduced to tears while listening to a harrowing account of a Rohingya Muslim woman. Davutoglu later told journalists that he would present his findings to the Muslim leaders at the Makkah summit. His findings will hold the key to the future course of action from the Muslim world at the summit. According to a top Jeddah-based diplomat, there are a number of measures that the Muslim world can think of against Myanmar. The diplomat also hinted at pressurizing and persuading the world’s leading powers to constitute an international peace-keeping force to save the Rohingya Muslims from being obliterated and uprooted from their historic homeland. The OIC delegation to Myanmar was headed by former Indonesian Vice President Jusuf Kalla. Among others, it included OIC Assistant Secretary General for Humanitarian Affairs Atta Manan Bakhiet and presidents of the Qatari Red Crescent and Kuwaiti International Humanitarian Commission. The OIC delegates apprised President Thein Sein of the outrage in the Muslim world at the deplorable humanitarian conditions in the Arakan province of Myanmar. Thein Sein pointed out to the OIC delegates that the international media distorted the events and presented wrong information and exaggerated the killings. “President Thein Sein stressed his eagerness for the Muslim world in particular to know the truth about what occurred in Arakan, and he mentioned that he had sent an invitation to OIC Secretary-General Ekmeleddin Ihsanoglu recently to visit Myanmar to observe the real situation in the affected province,” said the OIC press note. The president welcomed the OIC humanitarian delegation to Arakan and agreed to allow the OIC and its partner organizations to provide humanitarian aid to the province in an urgent manner and to open an office in the region in coordination with the central government in Yangon and the local authorities in the province. He instructed the relevant ministries to sign an agreement with the OIC to complete the arrangements. 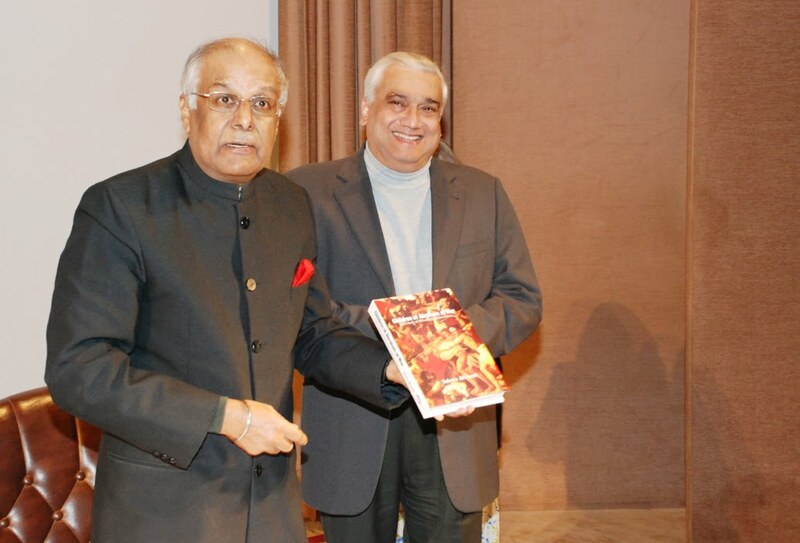 "Children of Abraham at War"
The new book Children of Abraham at War by Indian ambassador Talmiz Ahmad was hailed as an unbiased counterpoint to Samuel Huntington’s The Clash of Civilizations, at its launch in the Saudi capital this week. Ahmad worked on the book for more than five years. “Its origins lay in the concern that, after 9/11, Western, particularly US, discourse was increasingly demonising Islam — the religion, and Muslims — the people,” he said during his presentation.